Located in the heart of Porter Square, this 2+ bedroom, 2 full bath home boasts the location and amenities you have been seeking. Sun streams throughout this unit illuminating the space, creating an airy feel. Sought after combination living and dining room flows into the kitchen, which hosts updated stainless appliances, offering ample room for entertaining, all graced by hardwood floors. Master suite is situated on the upper level providing retreat space, featuring a large closet and private bath. Two bedrooms and a full bath round out the main living level allowing for guest/office space. One deeded parking space out your front door and private outdoor deck off the kitchen makes this a score. 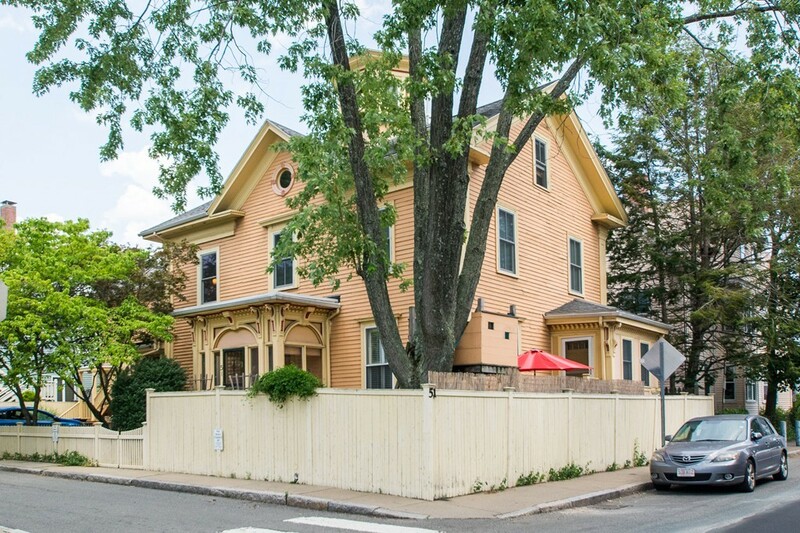 This 1858 Italianate Victorian combines classic finishes with modern updates, including hardwood floors, central AC, laundry, all steps from the Porter Square shopping center and Star Market. Easy access to public transportation and only a four minute walk to the Porter Red Line.